Orange-crowned Warblers are a hard bird to identify because most of the time you can’t even see their orange crown. They usually look all gray to olive green colored. They have virtually no markings… Just a black stripe through the eye and a small white area above, but even this is not always very well defined. They have a thin bill and are about the size of a chickadee (or a little shorter). 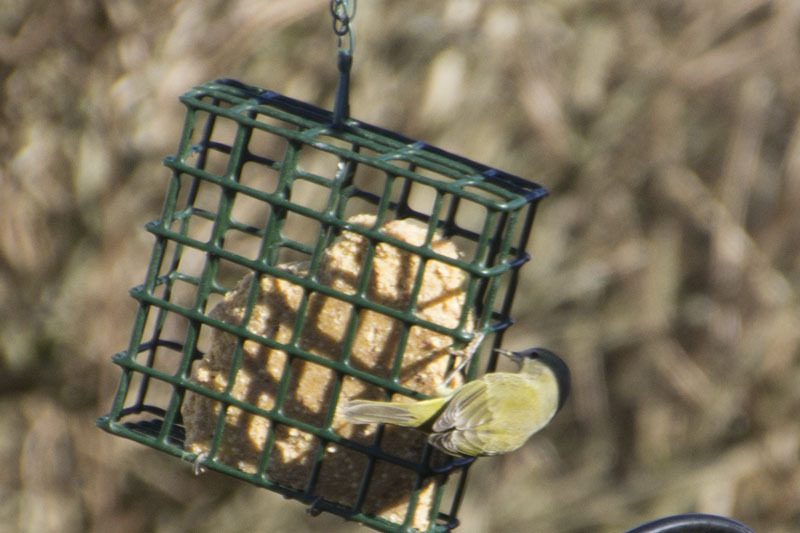 So if you have a small gray or green mystery bird visiting your suet feeders, you may consider that he’s an Orange-crowned Warbler. They are also more common in the west than the east, so if you live in Washington State like me, you might be more likely to see them. The ones I’ve seen are always solitary. And hungry for suet! This entry was posted in Orange-Crowned Warbler, Uncategorized on June 12, 2015 by Linnea. 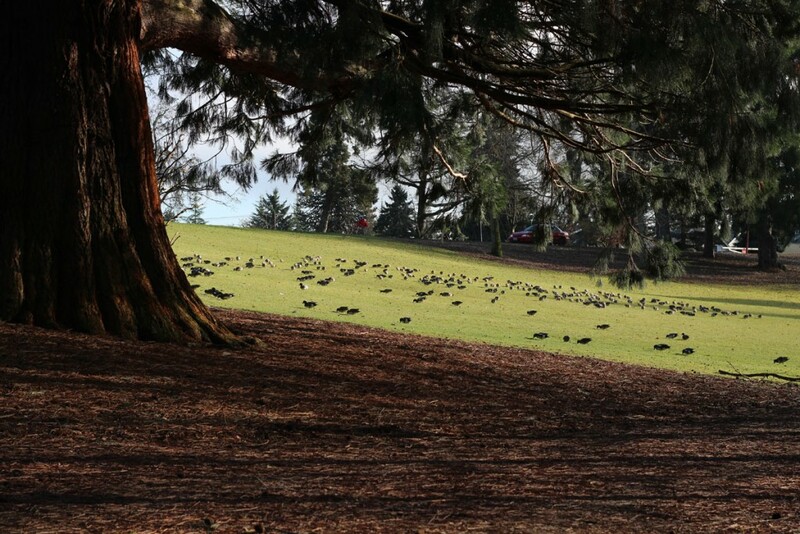 During a winter excursion, I visited Point Defiance Park in Tacoma WA. 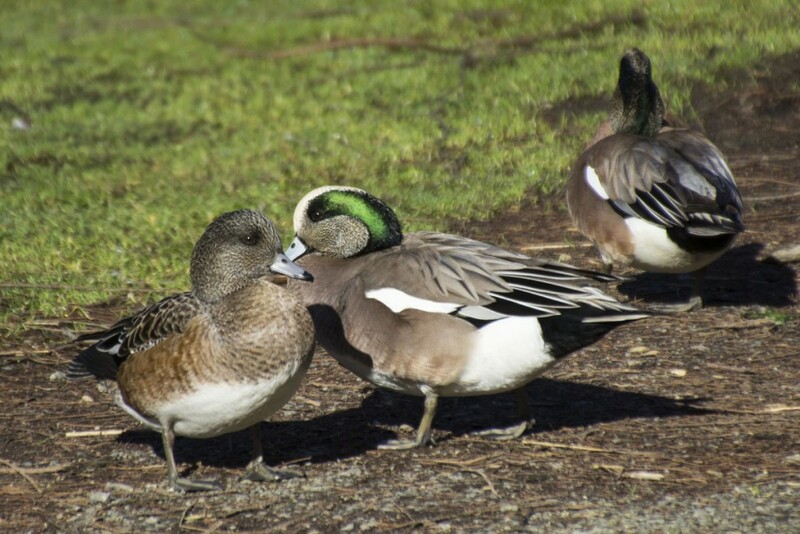 It was a warm January and the American Wigeons were sunbathing on the grass near the duck pond (near the entrance, on the left side, in the bowl shaped valley). I counted and the flock numbered at least 150. There were also some European Wigeons and maybe even a few Eurasian x American Wigeon Hybrids. 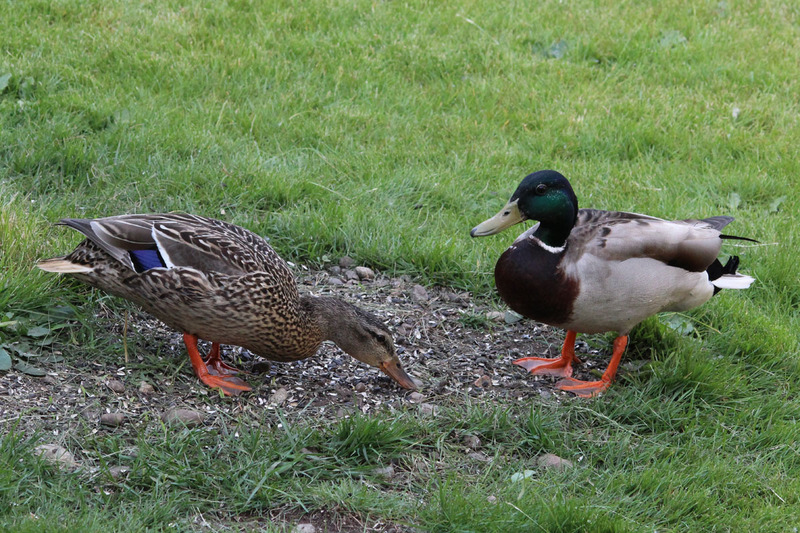 Also, some were swimming in the pond, along with Mallard Ducks. 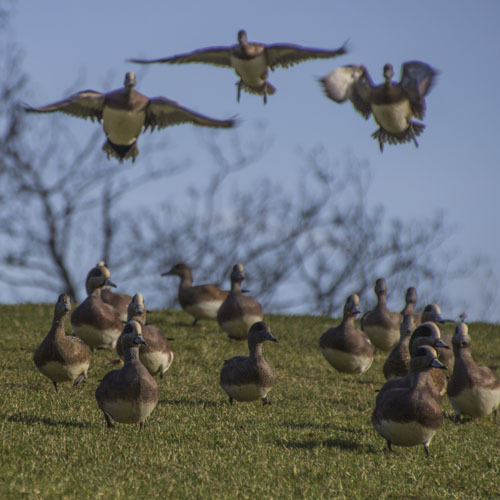 This entry was posted in American Wigeons on June 12, 2015 by Linnea. Cowbirds where there are NO Cows! 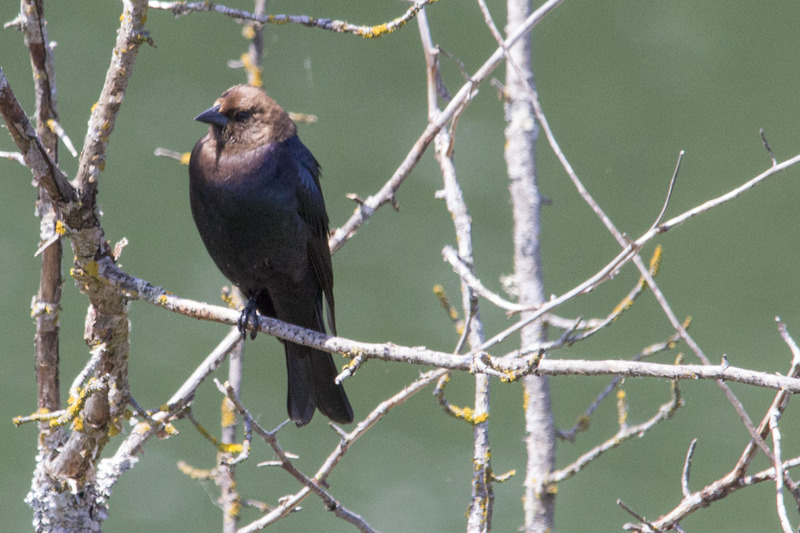 Have you seen a Brown-headed Cowbird? They are considered an unwanted bird because the female birds will destroy eggs from other bird nests and put their own eggs in their place. 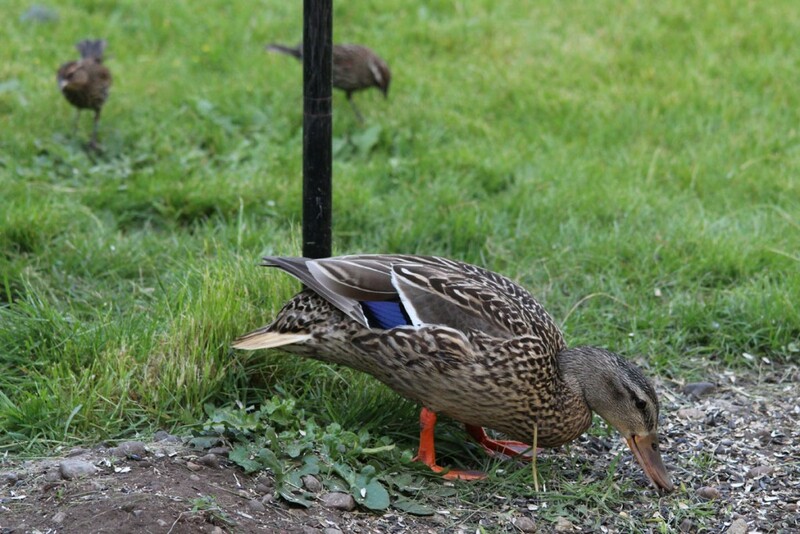 They like open pastures but I’ve seen them in my own backyard as well as at the Nisqually estuary. The online literature says that they like to hang out with blackbirds, so seeing that Red-Winged blackbirds are so common in the Puget Sound area, I guess it should be no surprise that we see these as well. 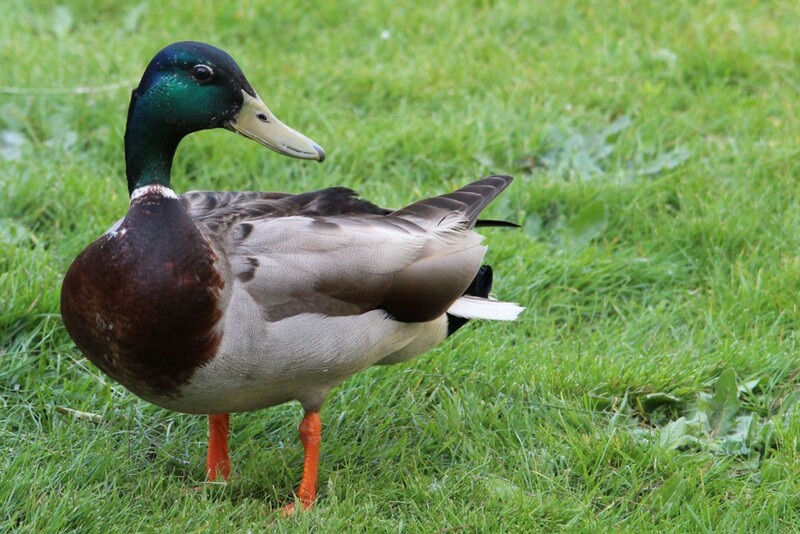 The males are easy to identify as they have a brown head and a glossy black (almost iridescent) plumage. They like to eat millet and other grains off of the ground, and the only time I saw them in my backyard when I was providing a bird seed mix. When I fill my feeders with only sunflower seeds, they’re nowhere to be found. The blackbirds also don’t like the sunflower seeds as much, but the Chickadees, Nuthatches, Finches, Grosbeaks, and Goldfinches all love sunflower seeds! 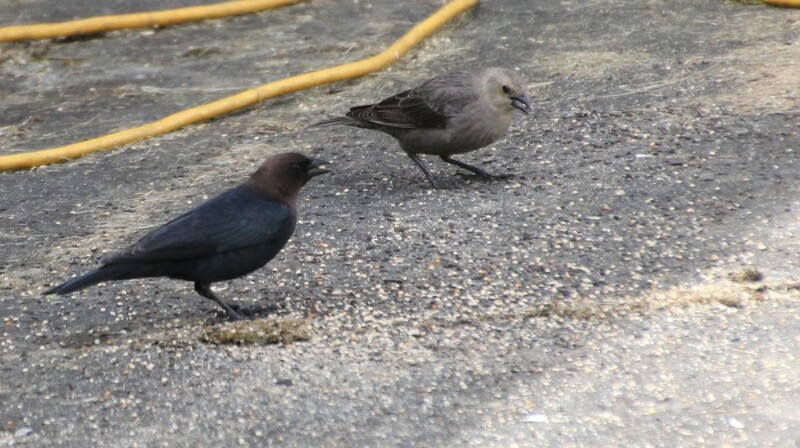 This entry was posted in Cowbirds on June 11, 2015 by Linnea. I saw Tree Swallows going into bird houses both small and large at Nisqually National Wildlife Refuge. 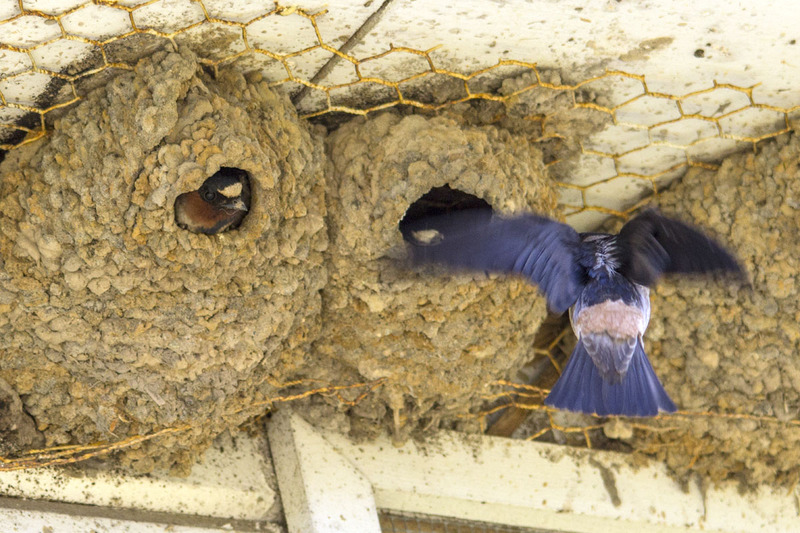 There were also tree swallows that made nests in the eaves and other openings on the Twin Barns. The babies were sticking their heads out of the opening with their mouths wide open when they saw their parent approaching. Sometimes they would be fed, but sometimes they would be teased by the parent…. I think they were trying to get them to leave the nest! This entry was posted in Tree Swallows on June 11, 2015 by Linnea. It’s the beginning of June. 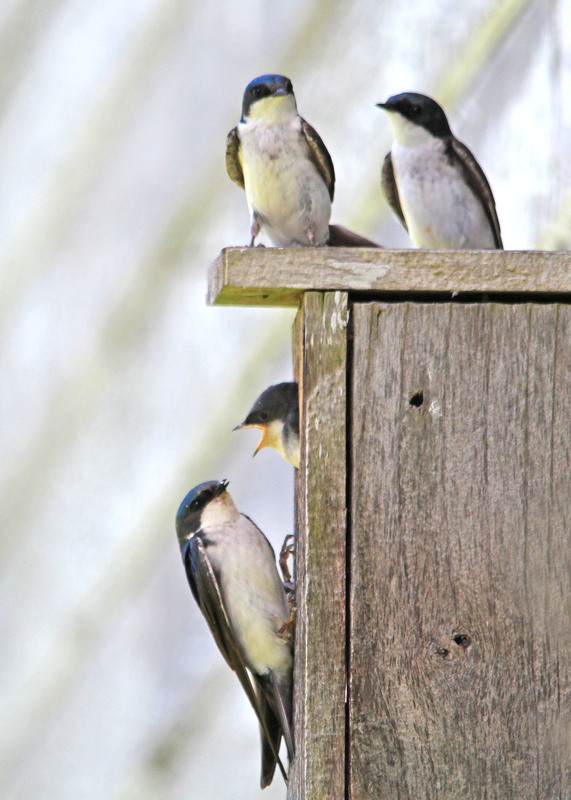 My Chickadee babies have fledged the nest already, but at Nisqually, there are many nesting swallows still. When you go to Nisqually, you can’t miss the noisy Swallows flying around in circles. You don’t have to go far either. They nest around on the visitor center building. If you do take the half mile walk to the Twin Barns, you certainly will be rewarded with many more birds to watch! Look up under the barn eaves and you might see Cliff swallow nests made out of mud. The Cliff Swallows are really clever birds. They swap their eggs so that if one nest gets destroyed by a predator, the “family line” will still survive. This entry was posted in Cliff Swallows on June 11, 2015 by Linnea. I’m thinking that dinner is a grasshopper, a worm, and some other mystery insects! 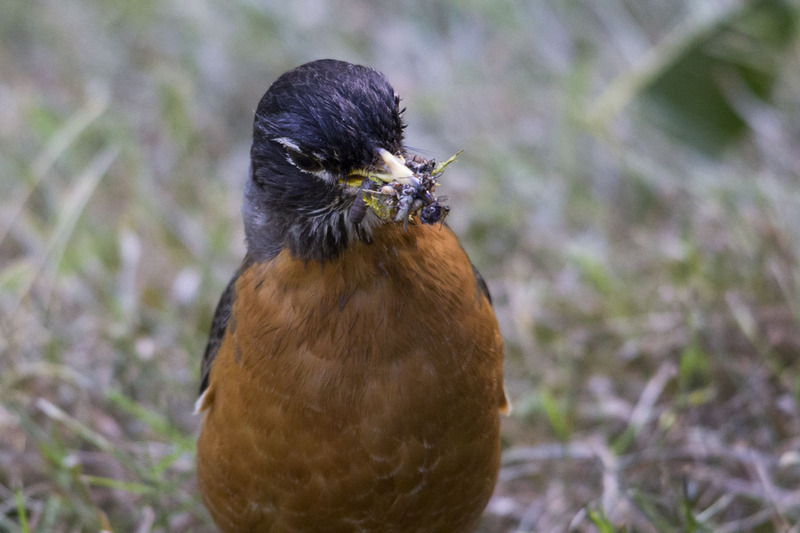 American Robins are a common sight but rarely do I see one with its beak so stuffed! Perhaps it has little ones to feed. This entry was posted in American Robin on June 11, 2015 by Linnea. Before going to Nisqually National Wildlife Reserve for the first time, I did some research online and read lots of reviews. 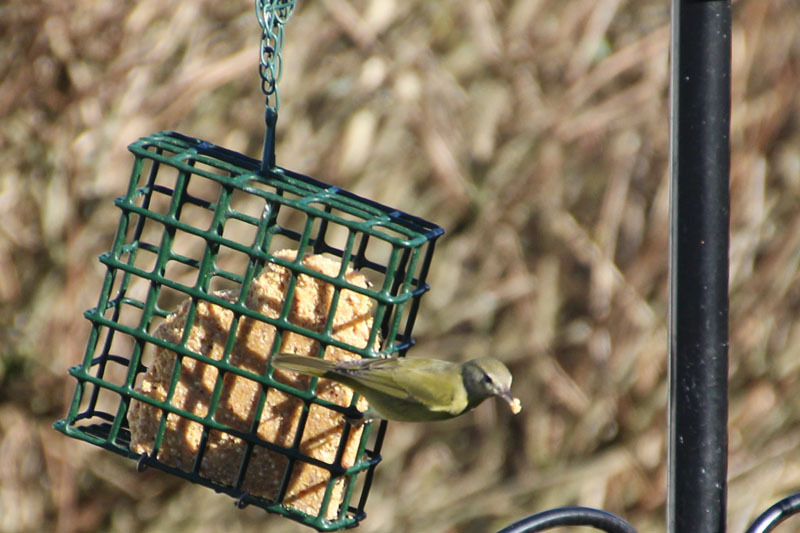 The reserve has great reviews by people who love to birdwatch and take nature photography. It’s just a very diverse area that has all kinds of wildlife. The trails are relatively flat so it’s also pretty easy walking for everyone. 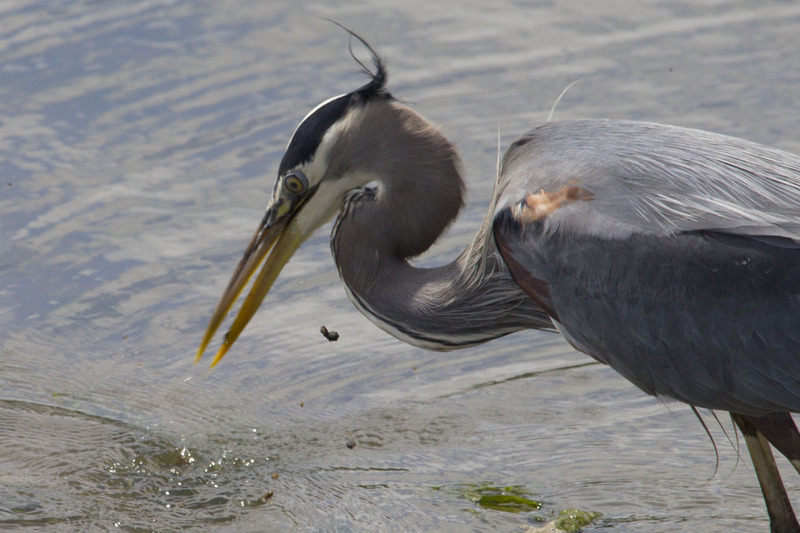 There were a couple of specific birds mentioned in the reviews, and one species named was the magestic Blue Heron. Well, either majestic or dinosaur like, your pick. 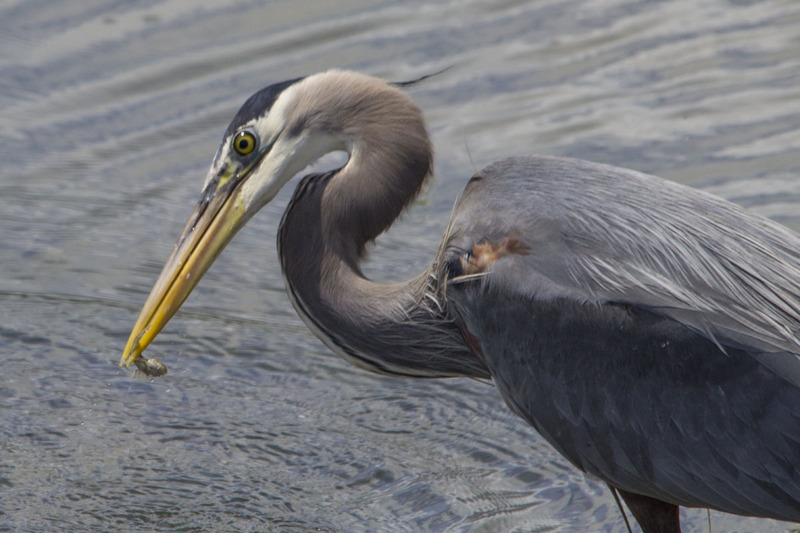 I’ve been to Nisqually about 6 times now, and during about half of those visits, I did see at least one Blue Heron. 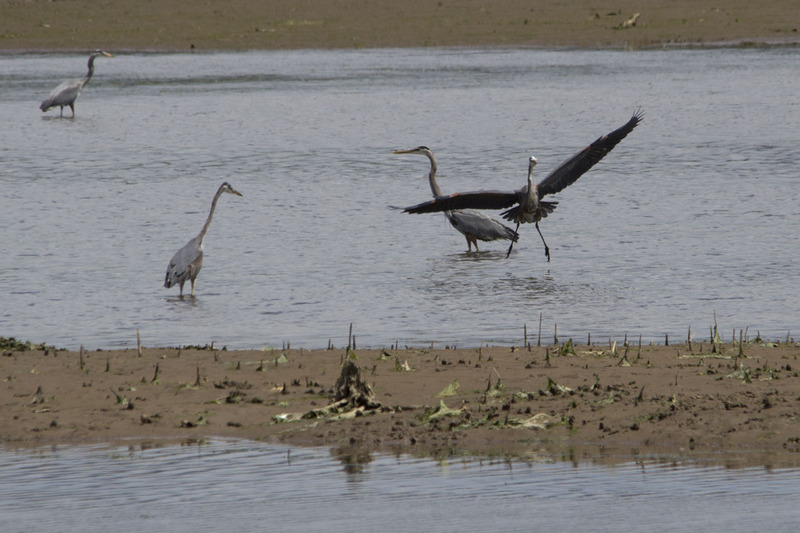 The very first visit, there was a blue heron right at the beginning of the trail (very close to the parking lot!). Kids were really excited about it. This entry was posted in Blue Heron on June 5, 2015 by Linnea. Cedar Waxwing – A Beautiful Berry Loving Bird! My first sighting of this beautiful bird! 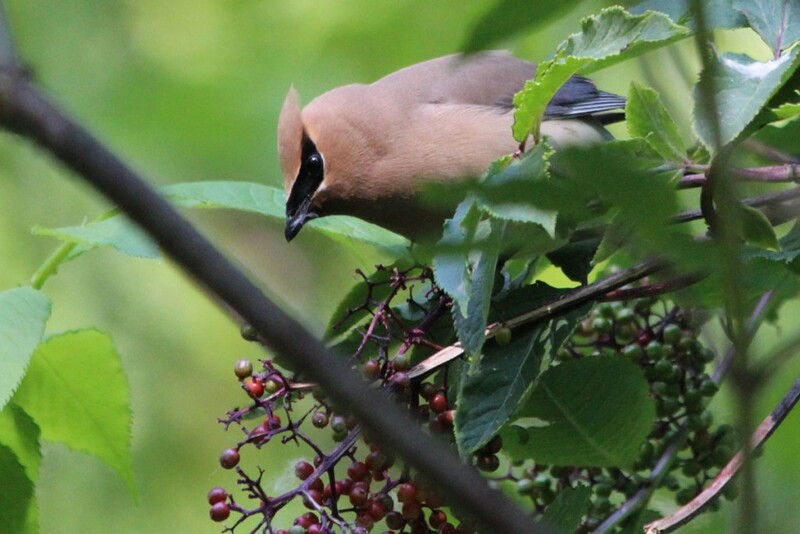 This entry was posted in Cedar Waxwing on June 4, 2015 by Linnea. I saw this bird last week at Nisqually National Wildlife Refuge in Western Washington State, USA. It’s a lifer for me, meaning it’s the first time I’ve identified it. My life list (bird species sightings list) is really growing! This Swainson’s Thrush was foraging along the eastern side of the Twin Barns Loop Trail, near a creek and the edge of Riparian forest. This area gets some really nice mid-morning sunlight, at least at this time of the year when the days are long and the sun so high. I also saw Cedar Waxwings and American Robins in the same area. The American Robins are here year round, while the Cedar Waxwings and Swainson’s Thrush are summer visitors. This is my first summer birding beyond my backyard, so there will probably be many firsts! 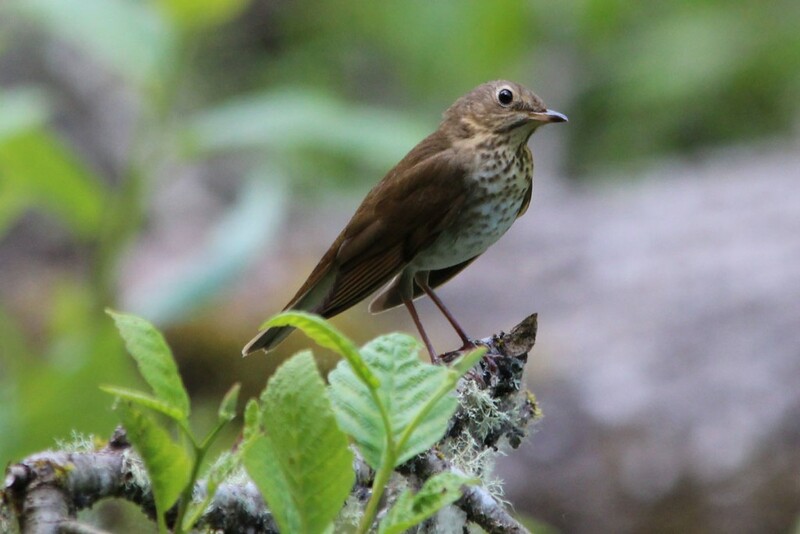 This entry was posted in Swainson's Thrush on June 4, 2015 by Linnea.